Tai chi Chuan(taiji Quan) has had more than 300 years of history in China and has become quite popular all over the world. Chen family Tai chi divided into Lao Jia (old frame)and Xin Jia (new frame),the Lao jia is created by Chen Village Henan province,and there are seven forms in Laojia.Although Chen Style Taijiquan has some difference between small and big frame, its movement characteristics is almost same according to their movements' speed, flexible,and mutual transformation. Among five traditional taijiquan (They are Chen,Yang,Wu,W'u and Sun style),Chen style tai chi chuan is the oldest and parent form of the five main styles. 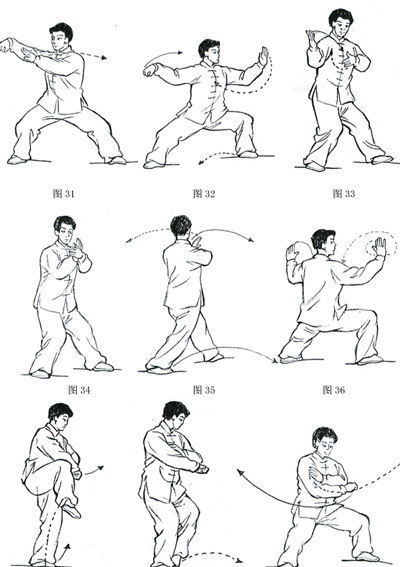 Chen style tai chi is special by its lower stances, and bursts of more power. There are professional internal kung fu,Tai chi class and master,the students can learn it here and focus on studying it if you want.Learning Taiji can improve our health and peace your inner body and clean our mind,that to make our body balance.